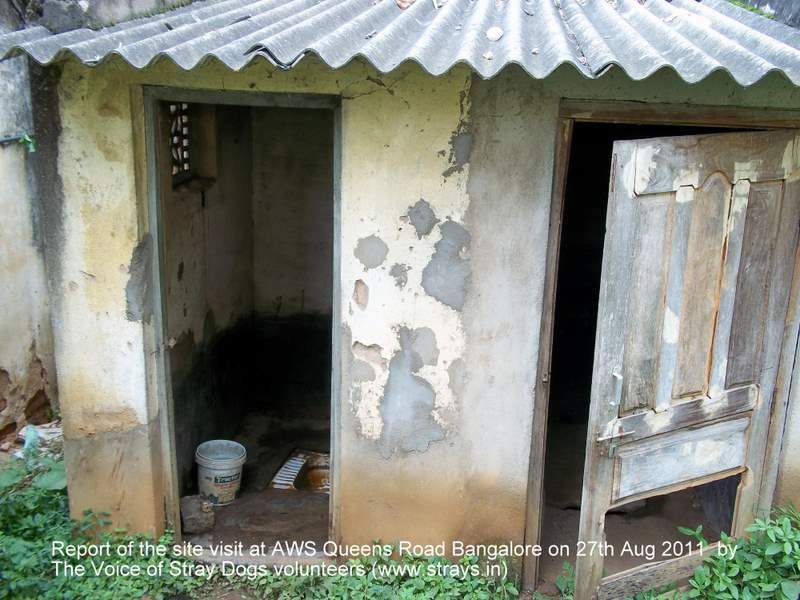 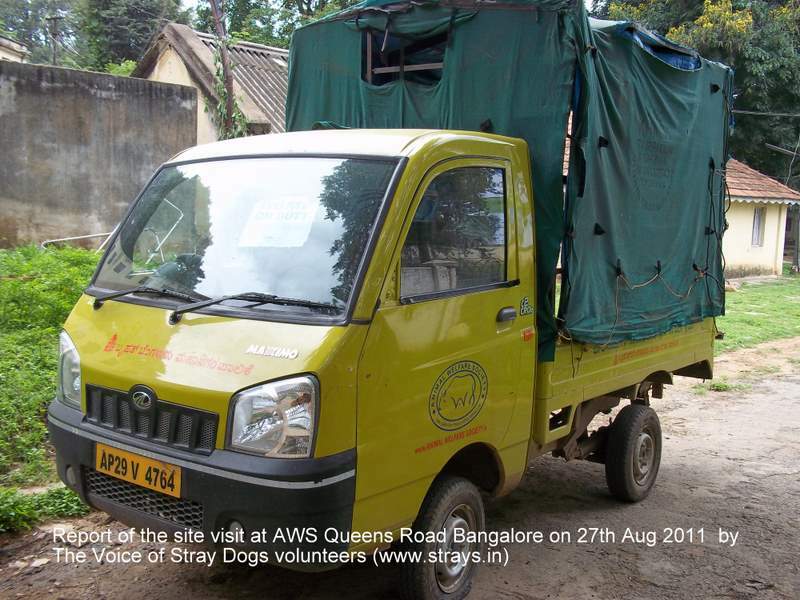 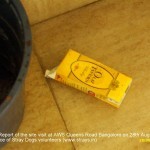 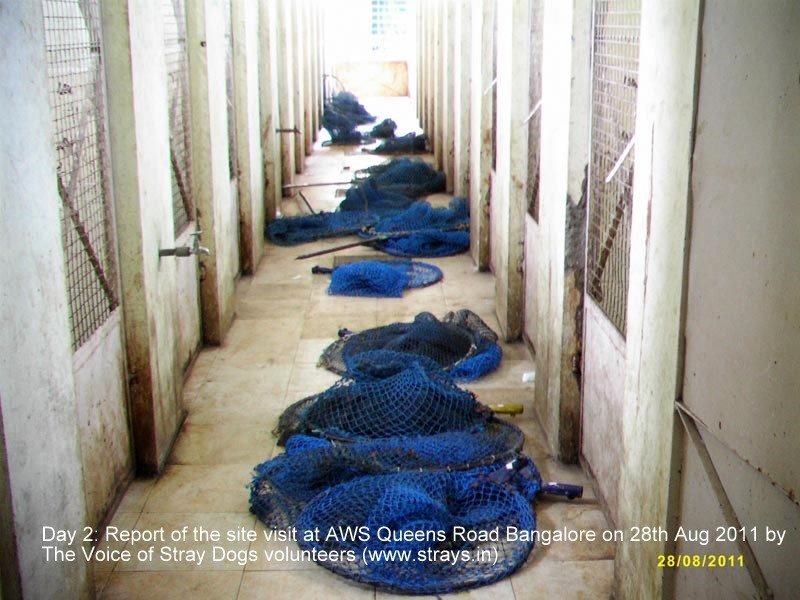 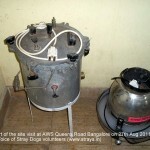 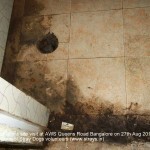 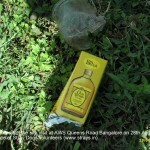 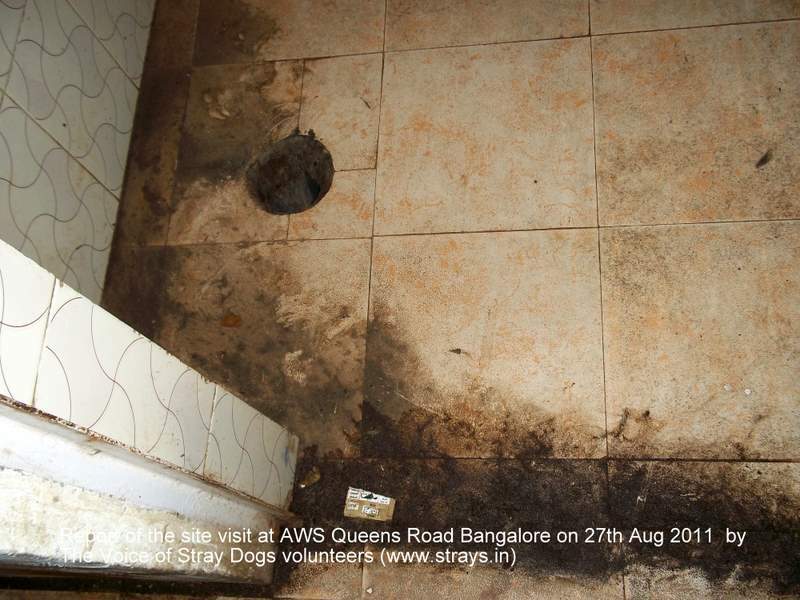 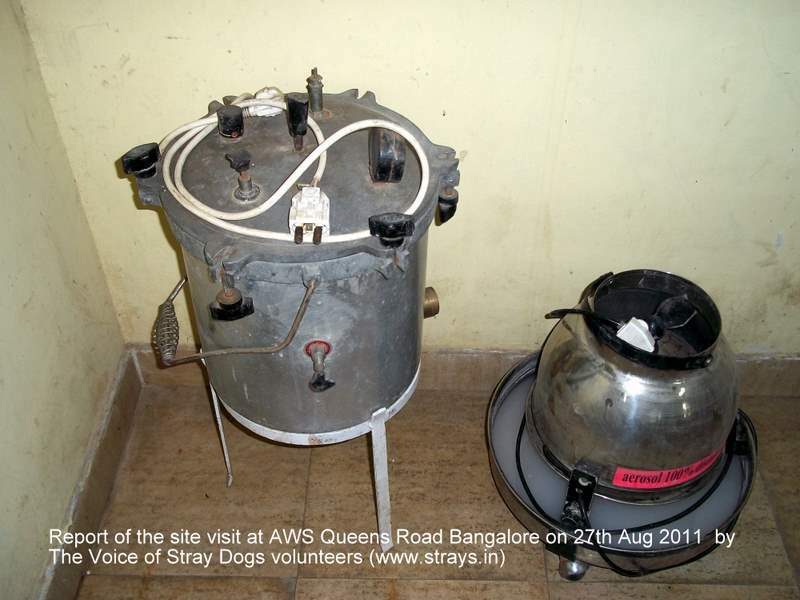 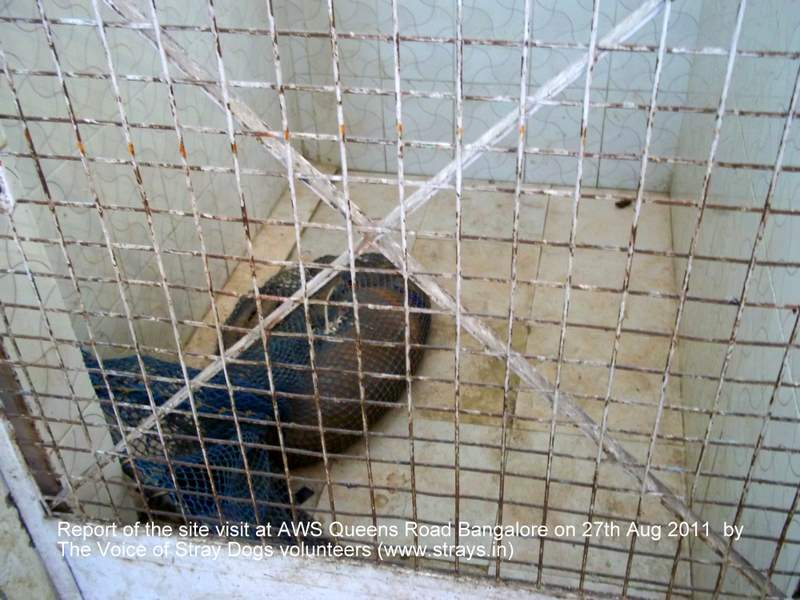 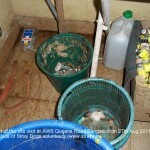 This is an account of inspection of AWS Queens Road facility in Bangalore. 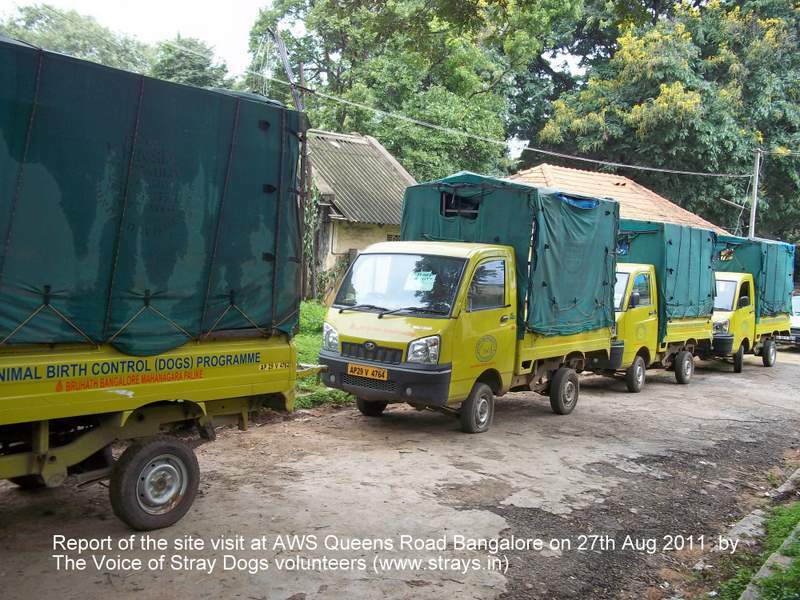 The volunteers were Rakesh Shukla, Kelly Johnson, Levin, Mansi Yalamalli & Jayasal. 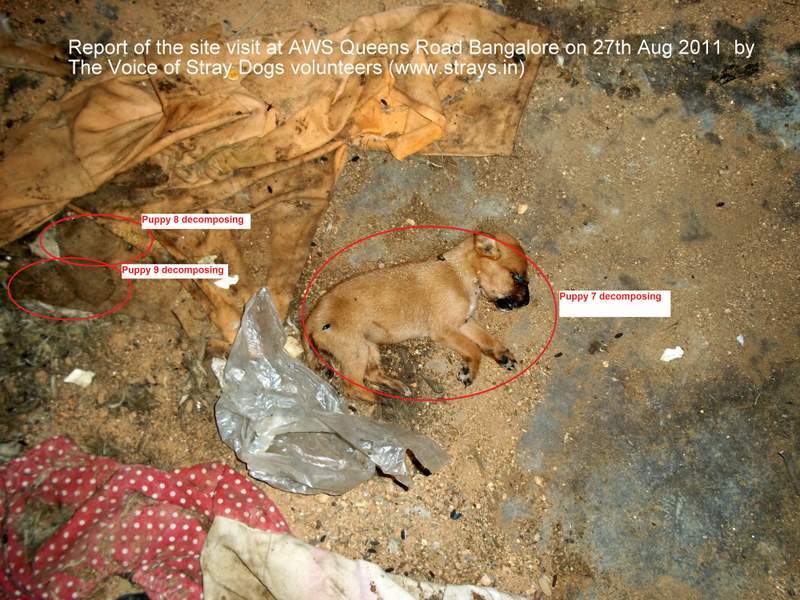 Detailed photo-record at the bottom of the report. 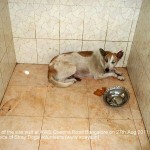 All the doors were closed and no manager nor vet was around. 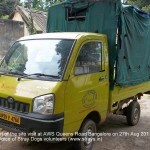 All except 1 van had gone out to catch dogs for ABC – this van had a puncture and was still at the premises. 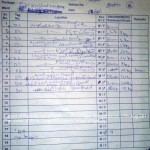 We were informed that the manager was on leave and no records can be made available either that day (Sat), or Sunday. 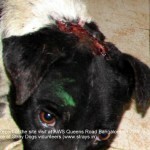 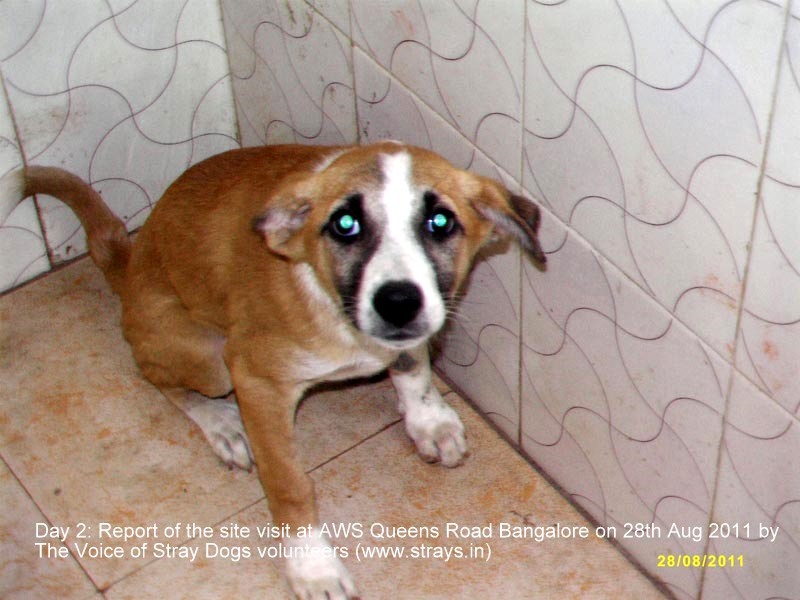 A 1 month old puppy was in the kennel – this was a case of complaint case – but was a very friendly if traumatized puppy. 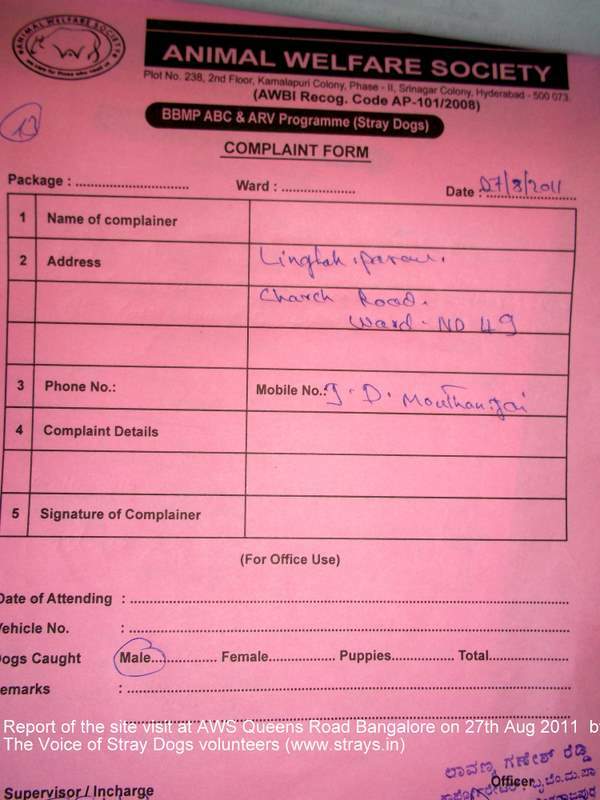 No complaint sheet was available for this puppy. 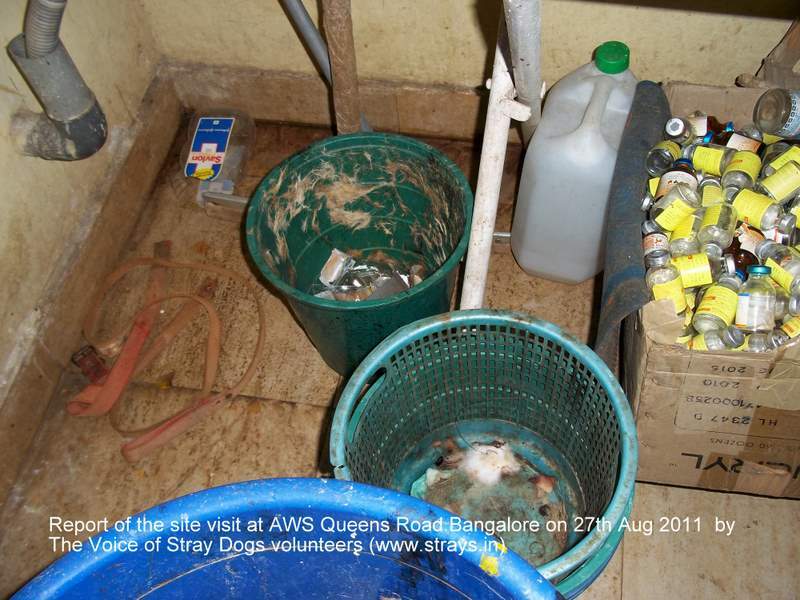 No live dogs had any water or food available to them. 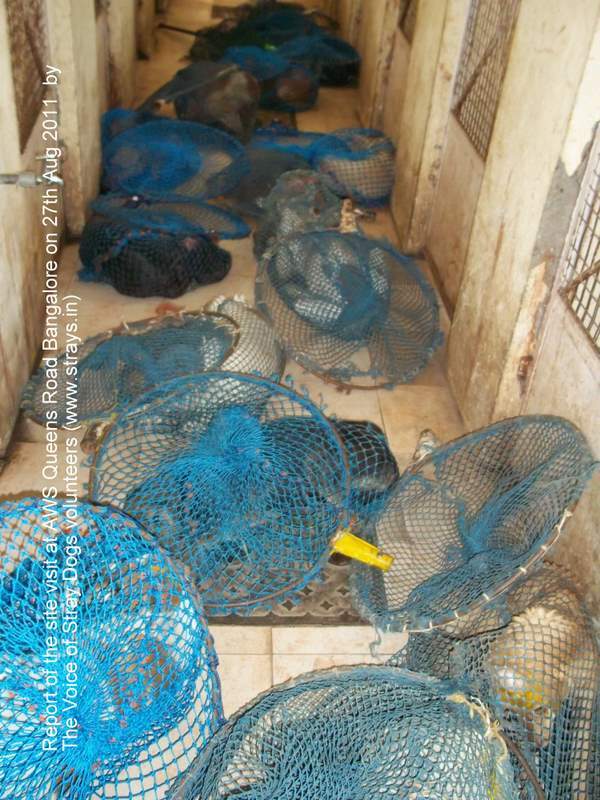 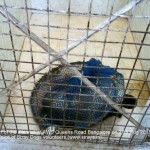 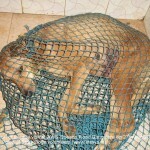 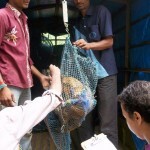 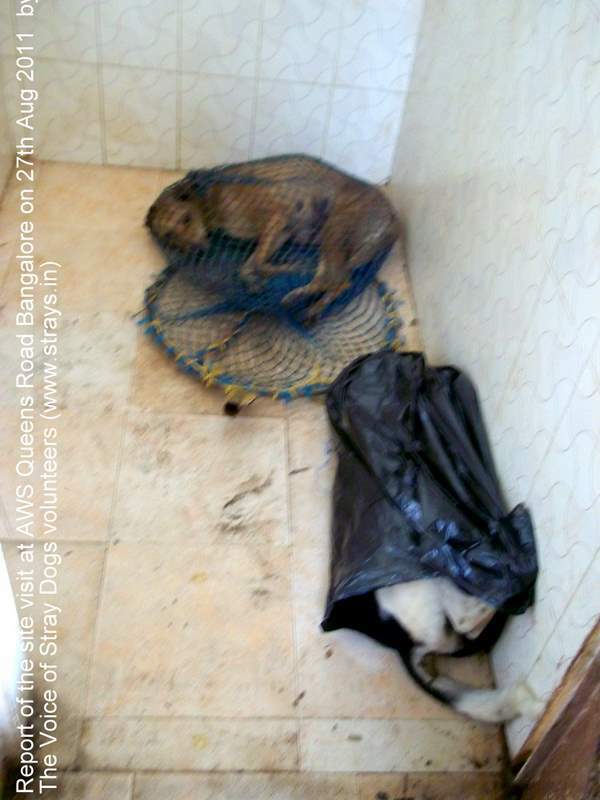 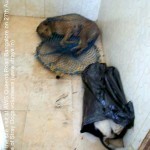 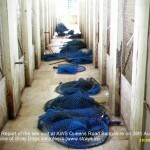 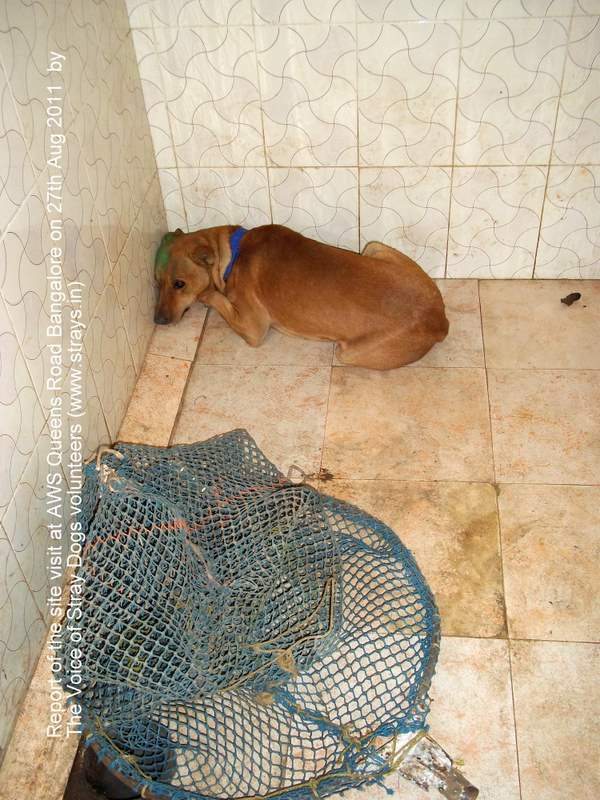 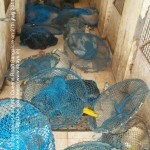 No one could give an explanation on why the dogs were in the nets, without food or water. 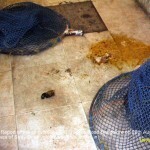 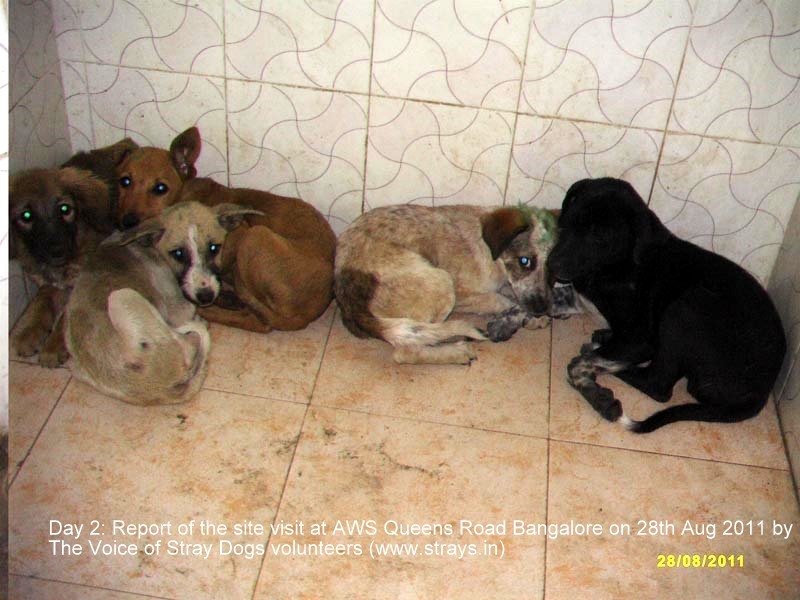 There were 2 small dogs, malnourished and frightened one neutered – right outside the building. 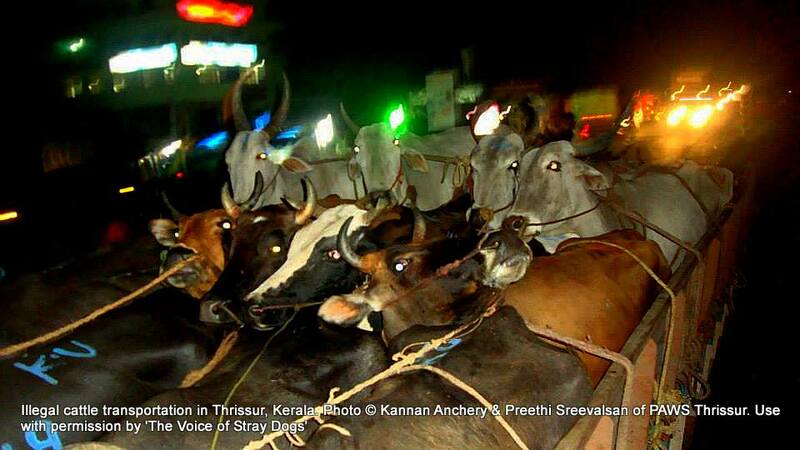 They would not come near any human. 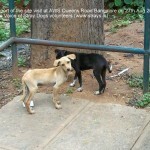 We were told that the mother ‘ran away’. 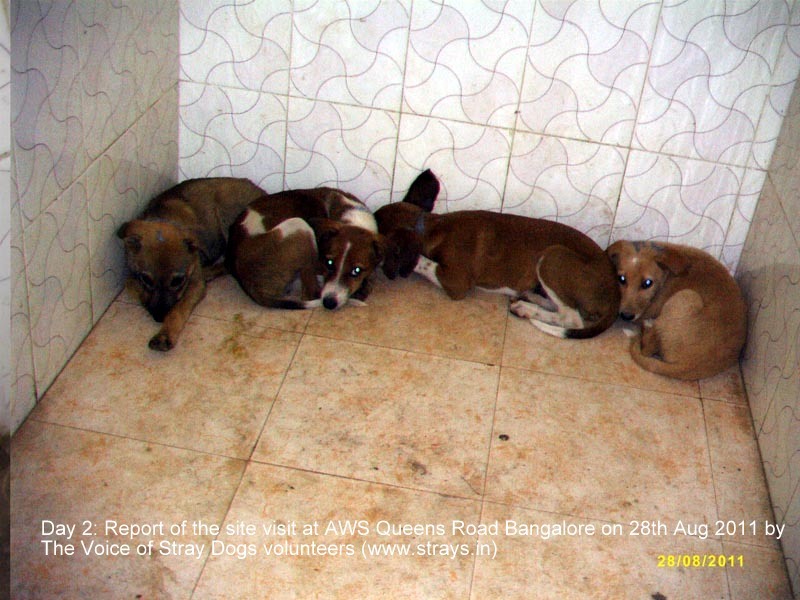 This room had 10 puppies in it: 3 were barely alive, 7 were dead and in several stages on decomposition. 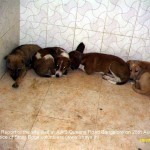 I estimate these 3 puppies to be at least from 3 litters. 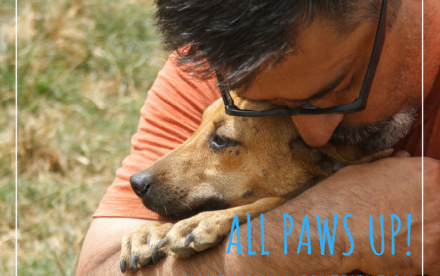 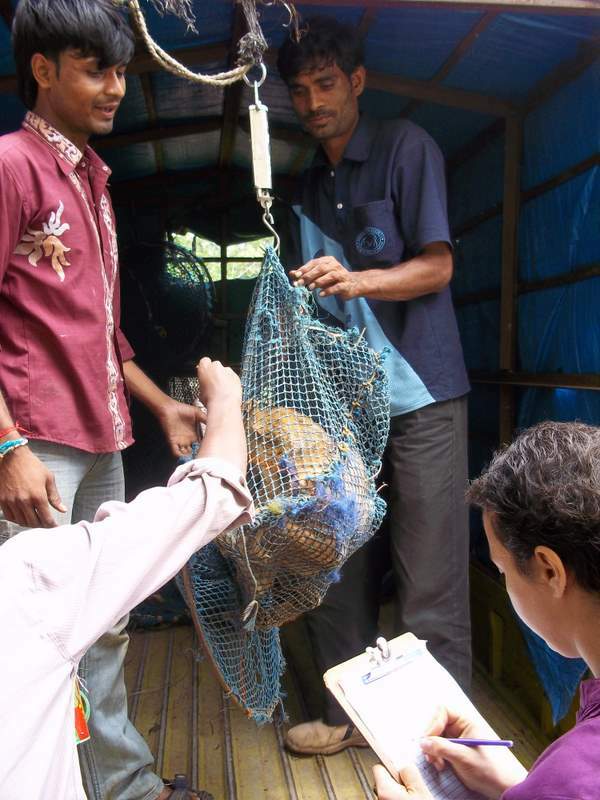 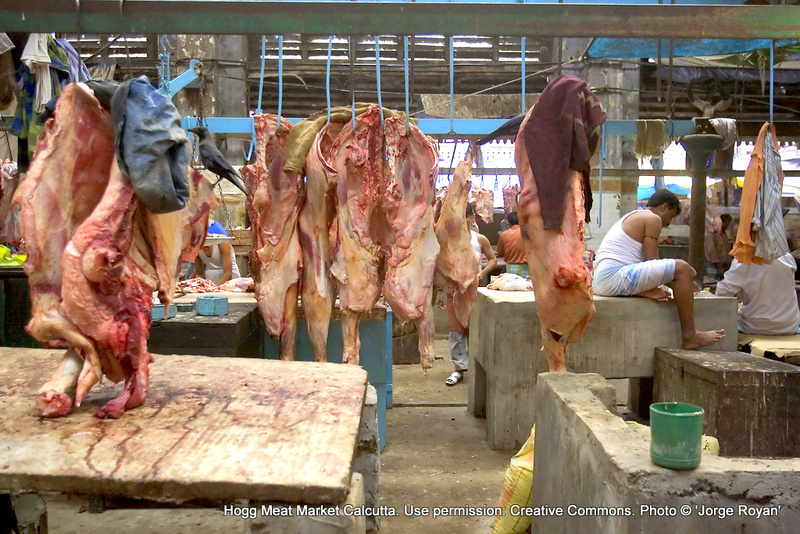 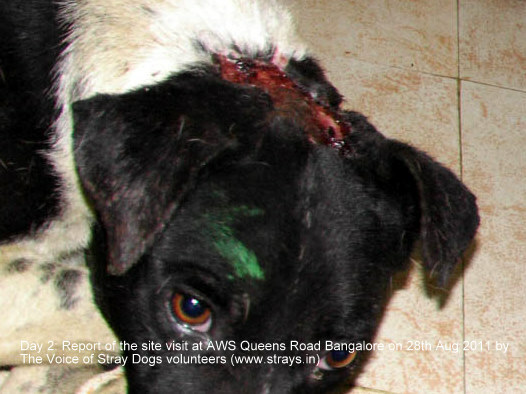 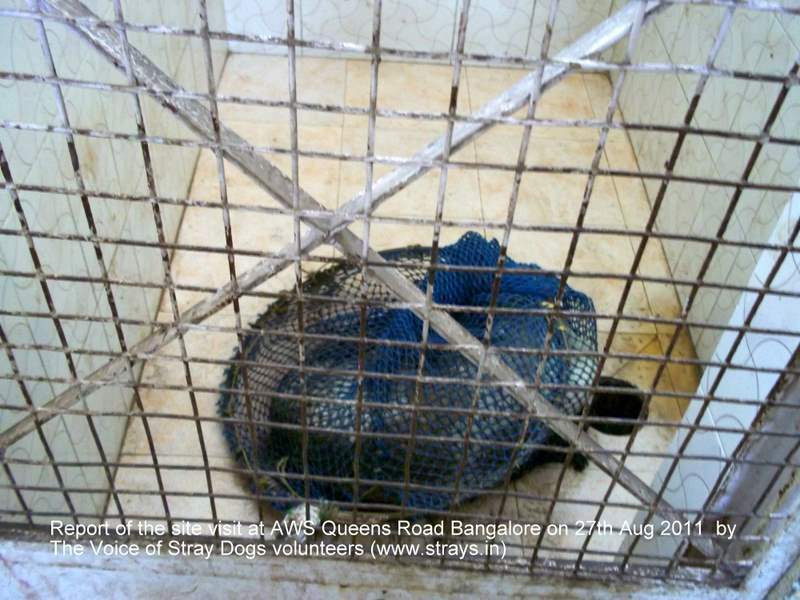 The vets, workers & drivers confirmed that dogs are dropped the ‘next day’ as a practice. 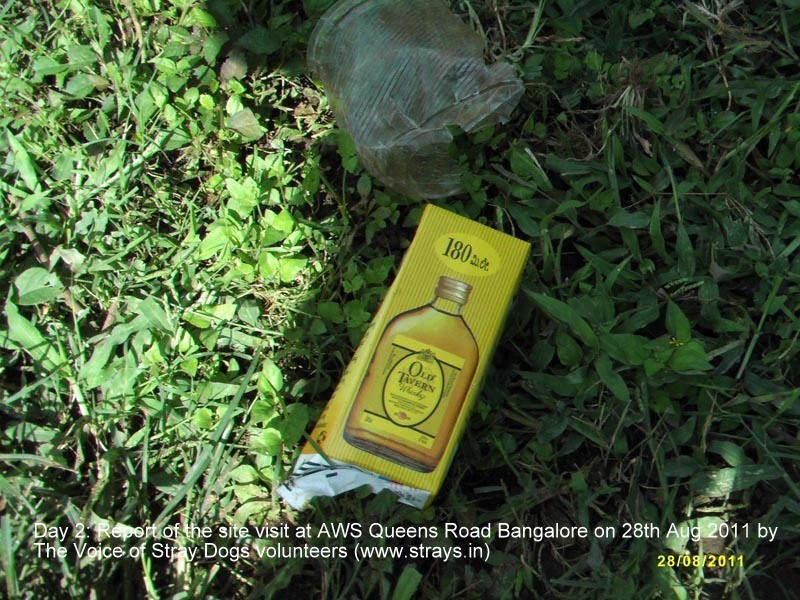 These are supposed to be dropped as per the pick up sheets of the day before. 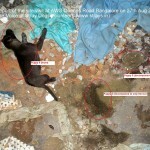 No-one could explain how would the dogs be dropped in the right area since the drop zone of day 1 and pick up area of day 2 are different areas. 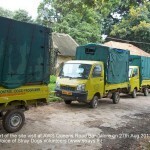 When the vans came back with the catch of ABC dogs – not one of the vans was carrying any pick up sheets of the of the last day. 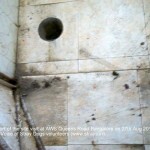 ALL drops were made from memory of the van drivers! 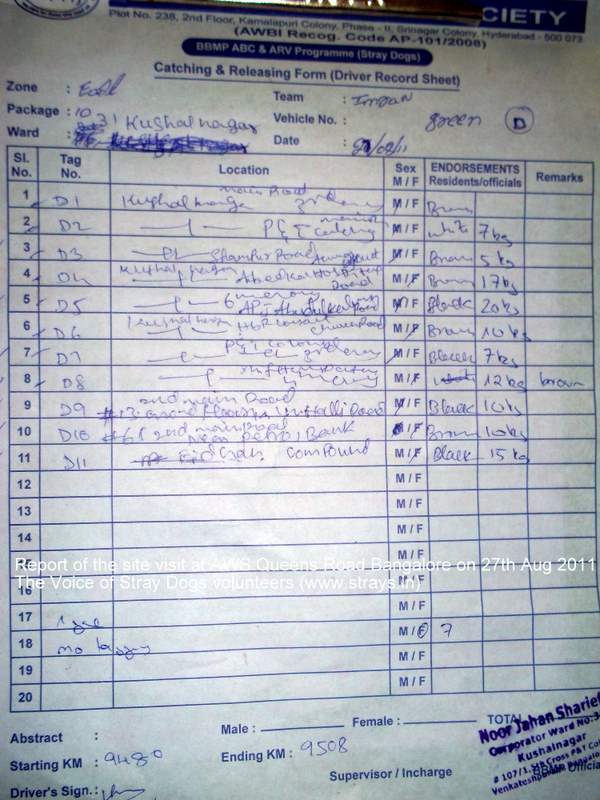 Complaint sheets already with the staff there were insufficient details the nature of complaint or who made the complaint. 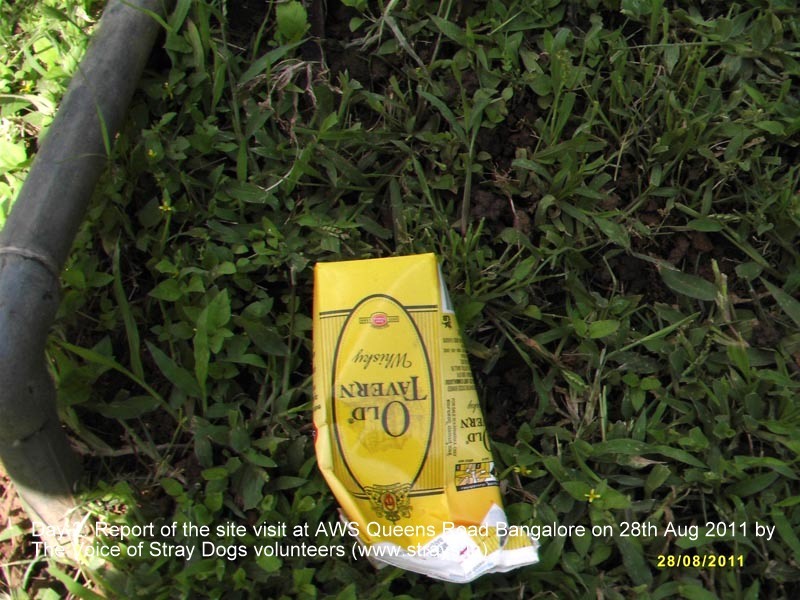 There is NO tagging of complaint dogs already there. 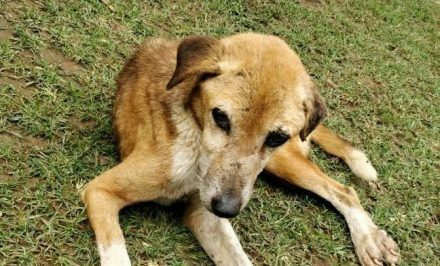 One of the complaints is that the dog is too old! 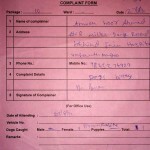 There was no answer on what will be done with a complaint such as this. 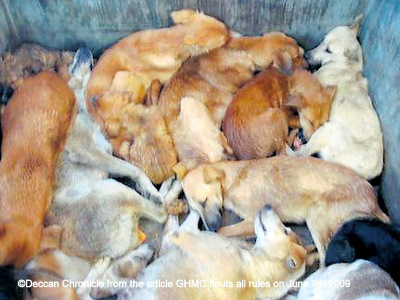 No tagging was available so no-one could say where (if at all) these dogs will be dropped. 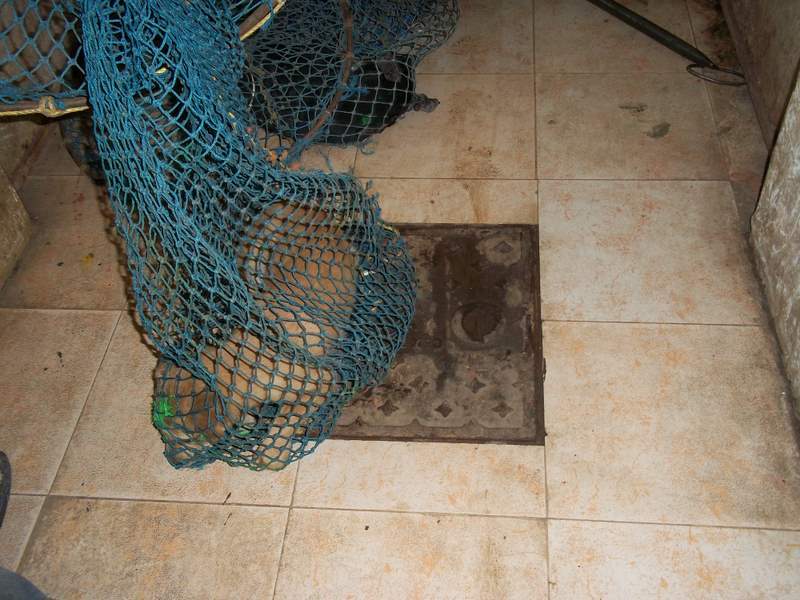 Group C: There were two nets with number C2, so which one is the right C2C 5 was missing. 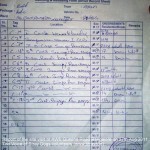 As you can see on the sheet C5 and C2 are both female. 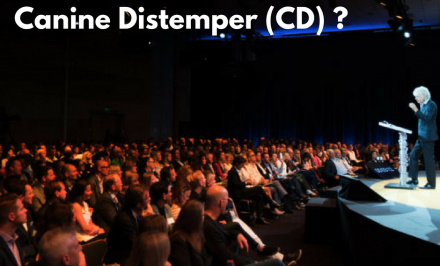 One was ‘chosen’ to be C5 and the other c2. 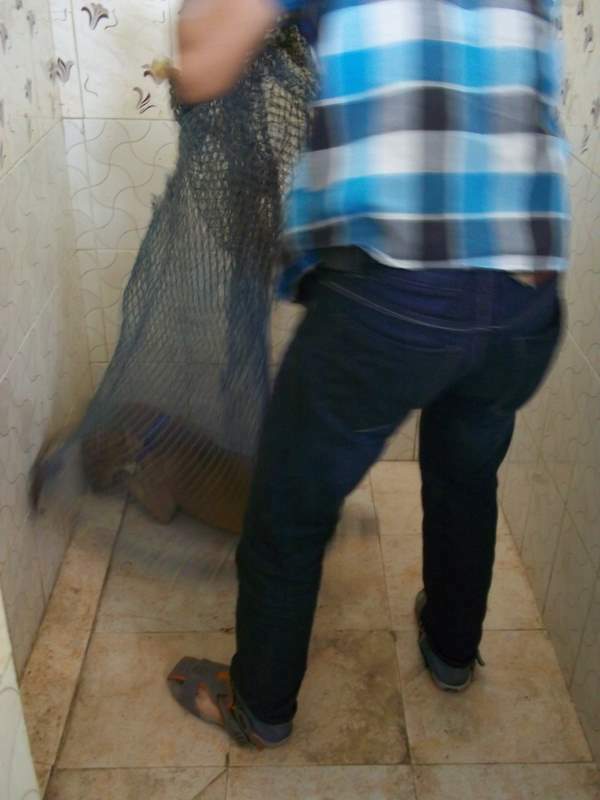 Group D: There was no net with D1. 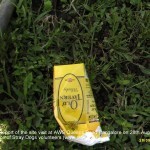 The rest of the number were correct but this group had one complaint as well without a tagging. 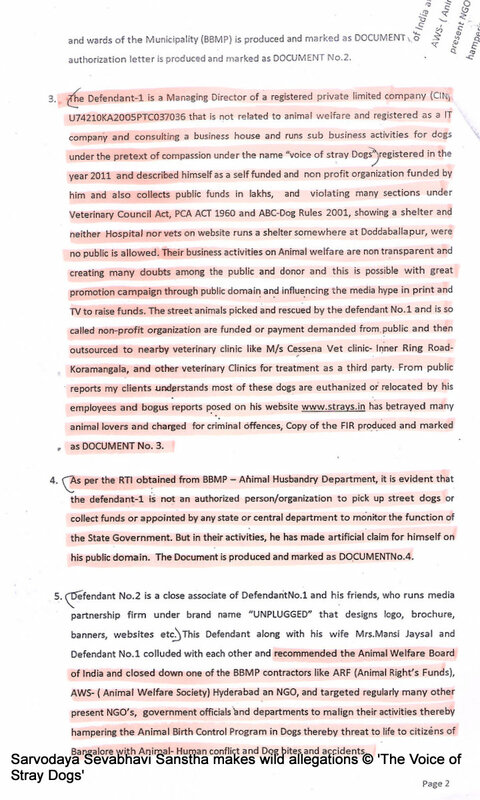 Therefor it can’t be ascertained which dog was the complaint and which one was the D1? 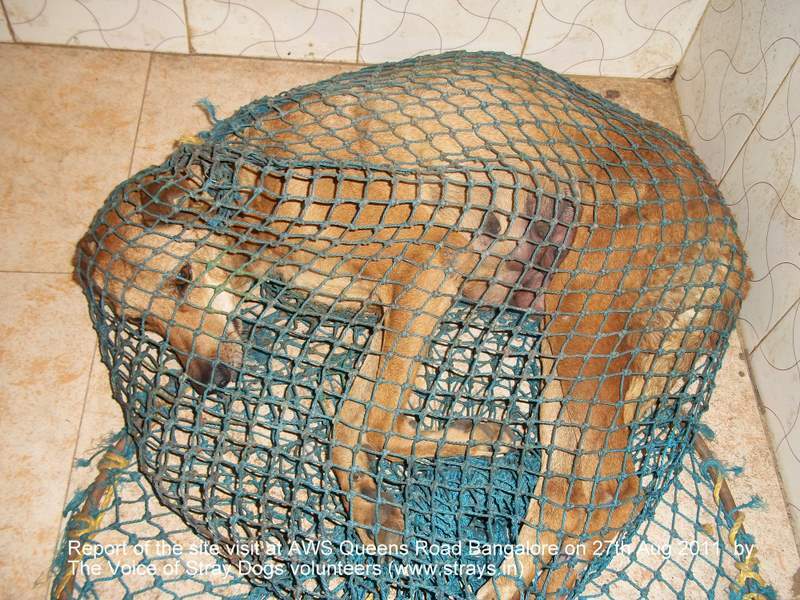 Workers who should only be taking the dogs out of the net are are giving sedatives and anesthesia. 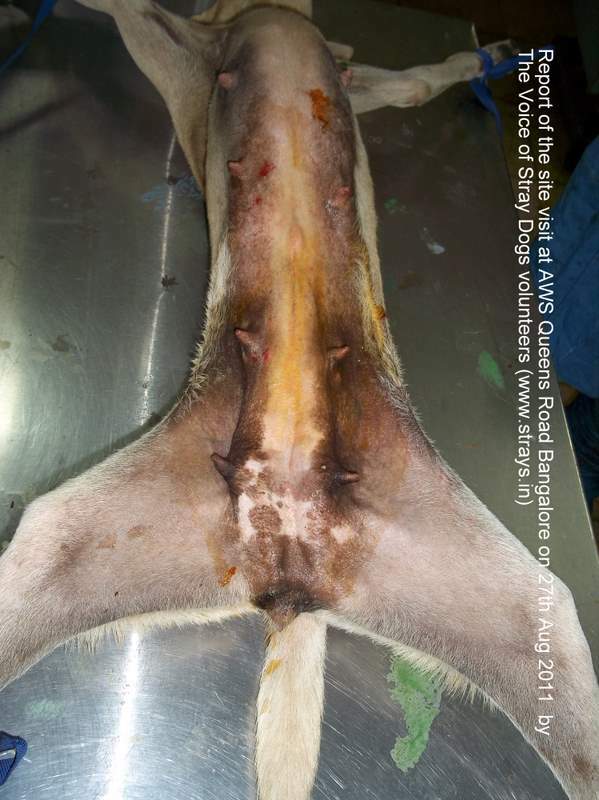 Injections are being prepared in large numbers and just randomly put into the dogs muscle area. 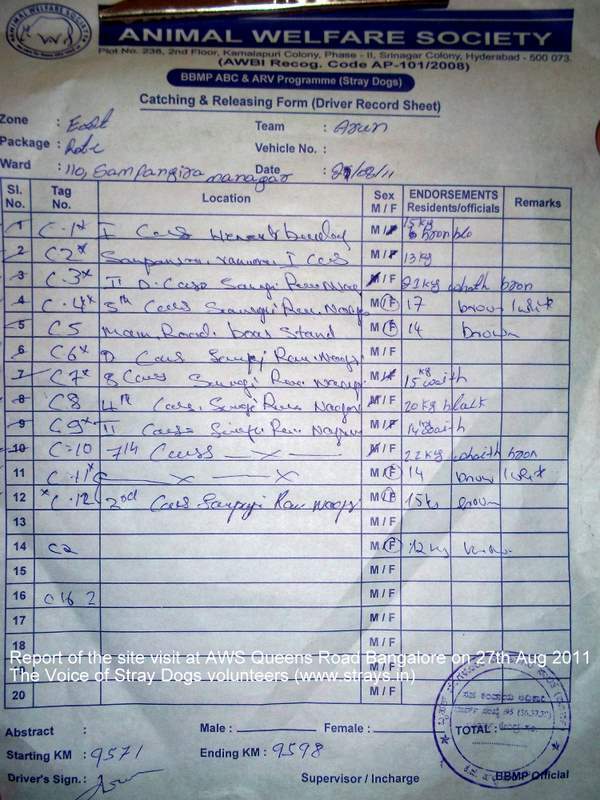 No medical sheet was prepared – when asking for previous sheets, vets , assistants were not able to provide these. 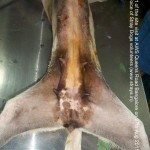 The 1st dog to under surgery woke up within a minute of incision because of insuffient anesthetic. 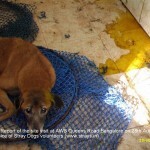 The vets insisted that this happens often and there is nothing to worry about. 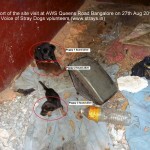 2 dogs from Friday including 1 complaint puppy and 1 adult were still also there. 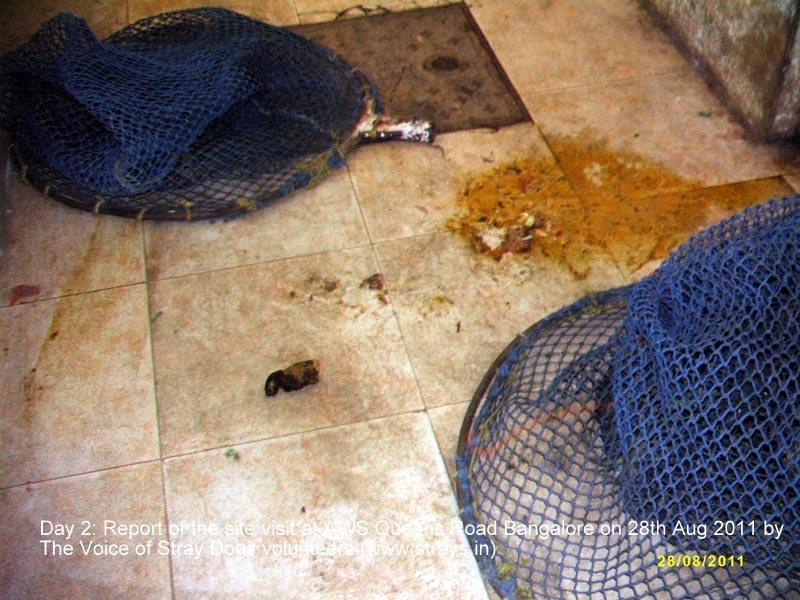 One dog was in a bad condition, losing blood from its testicles. 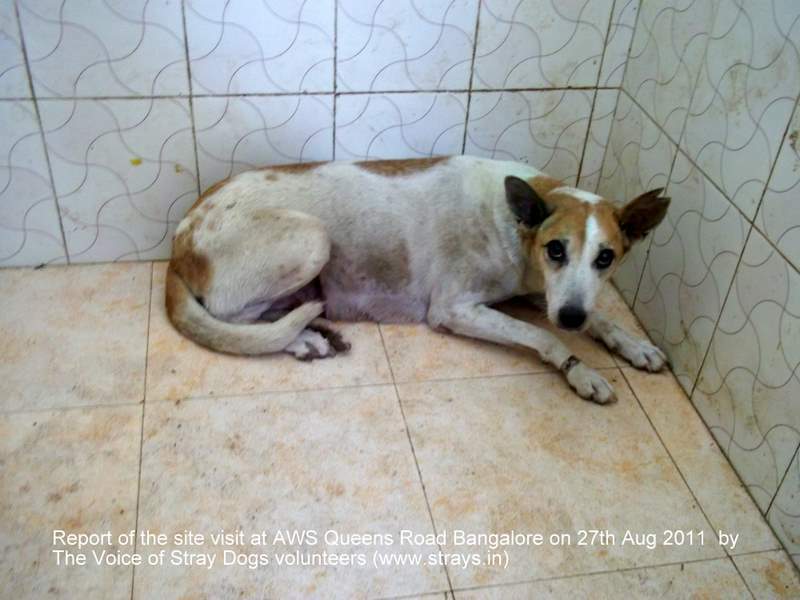 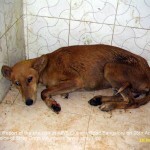 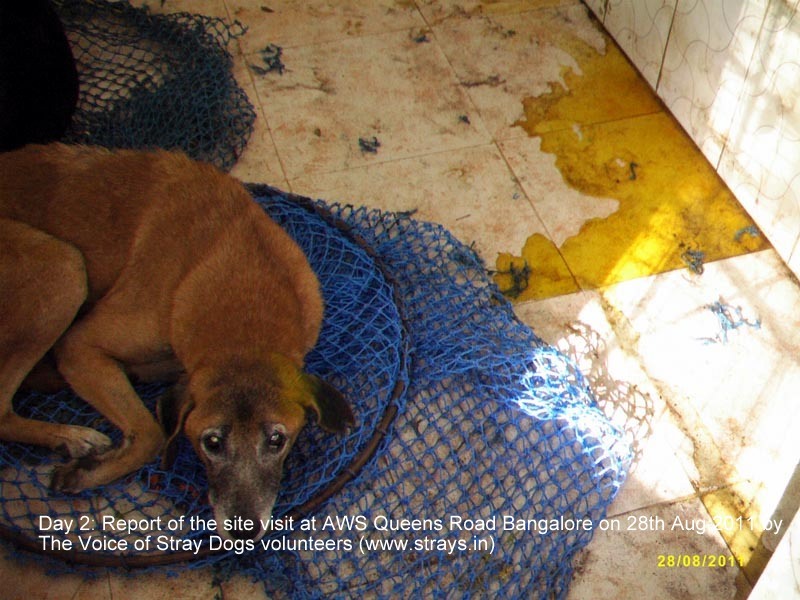 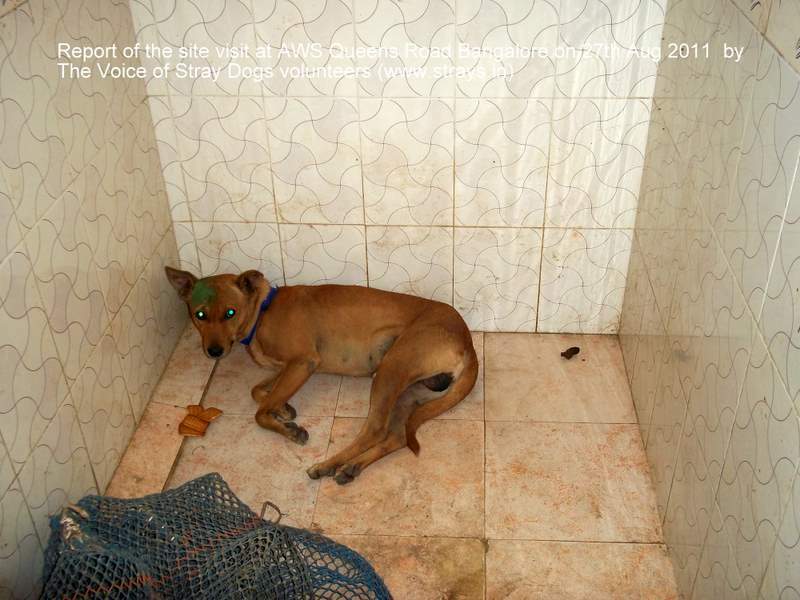 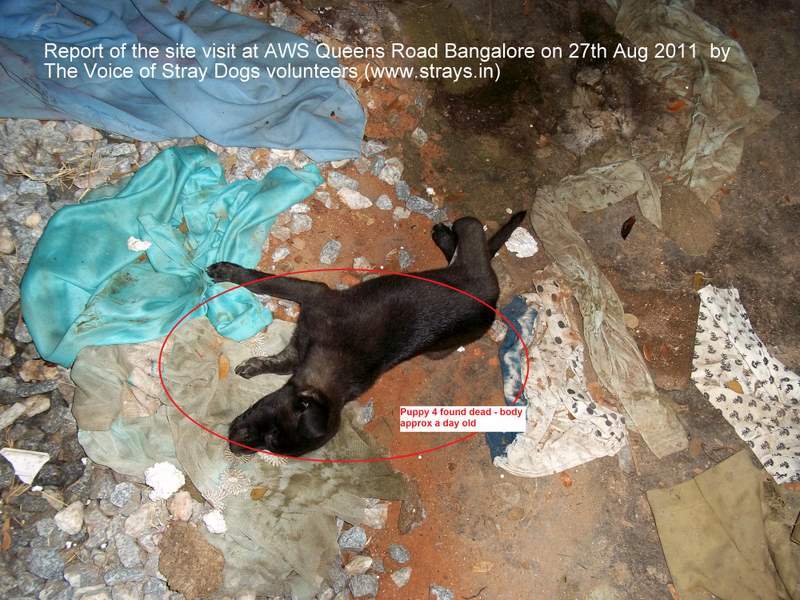 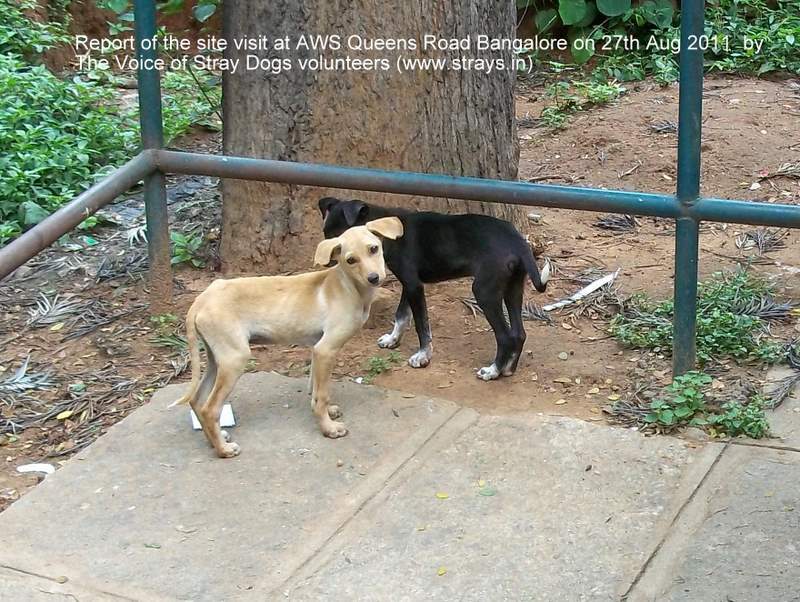 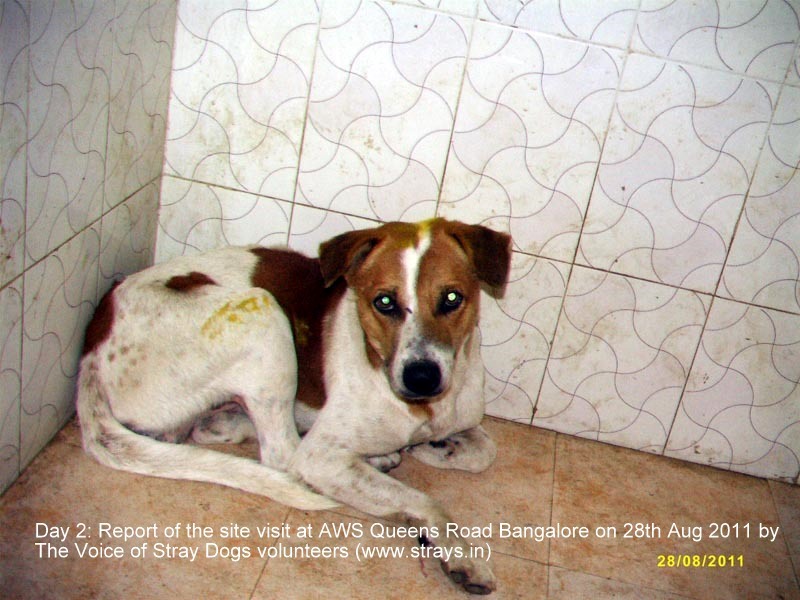 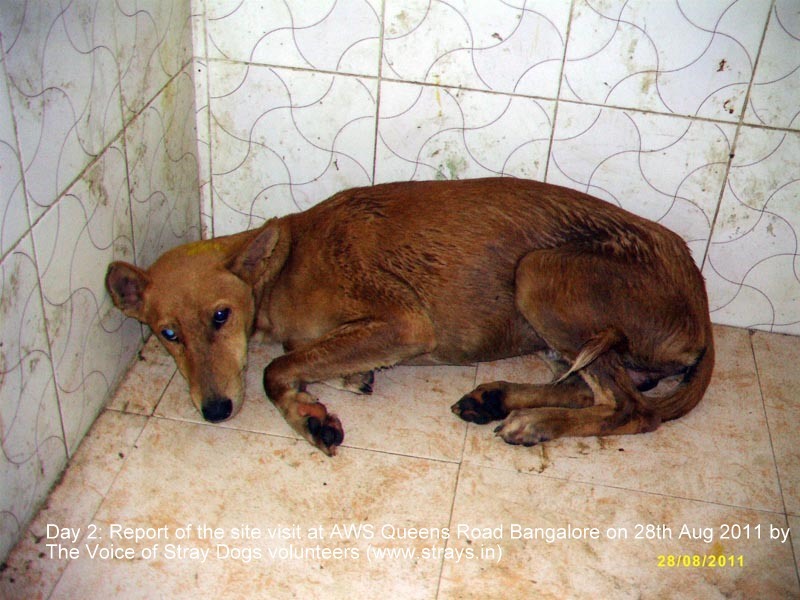 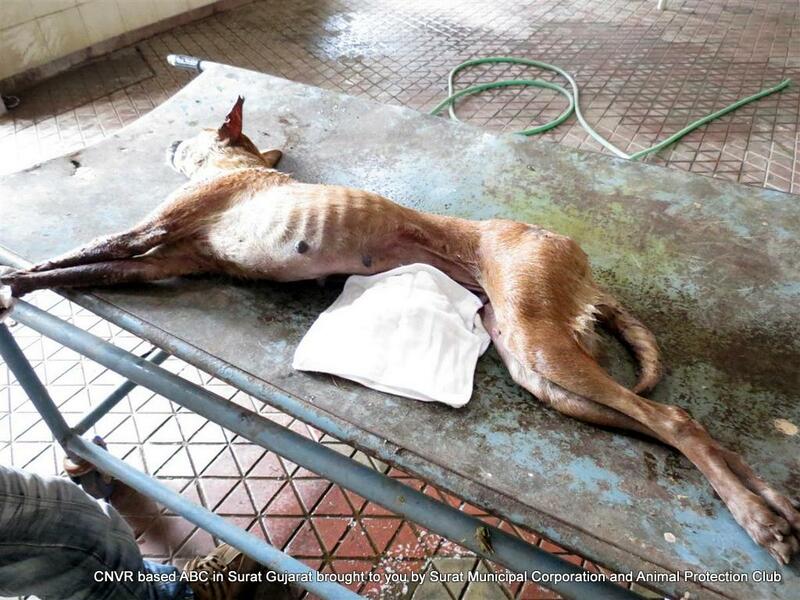 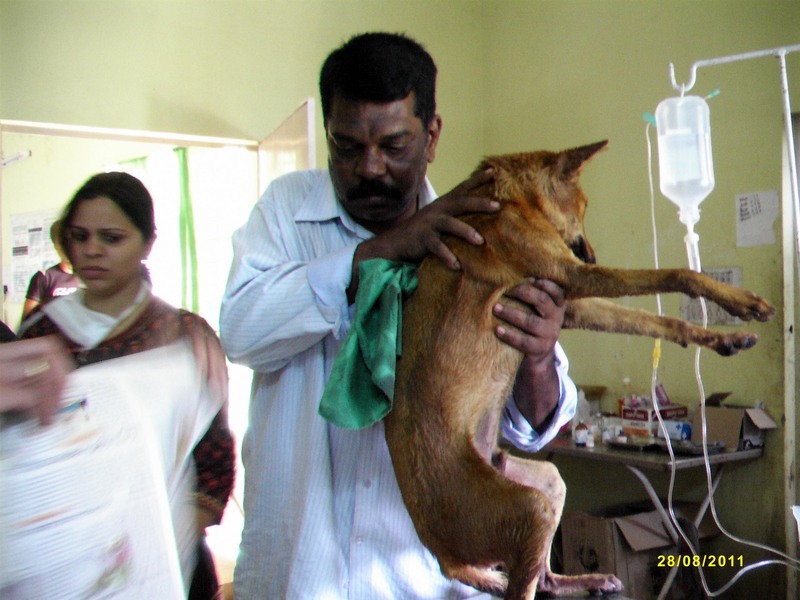 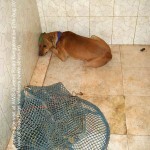 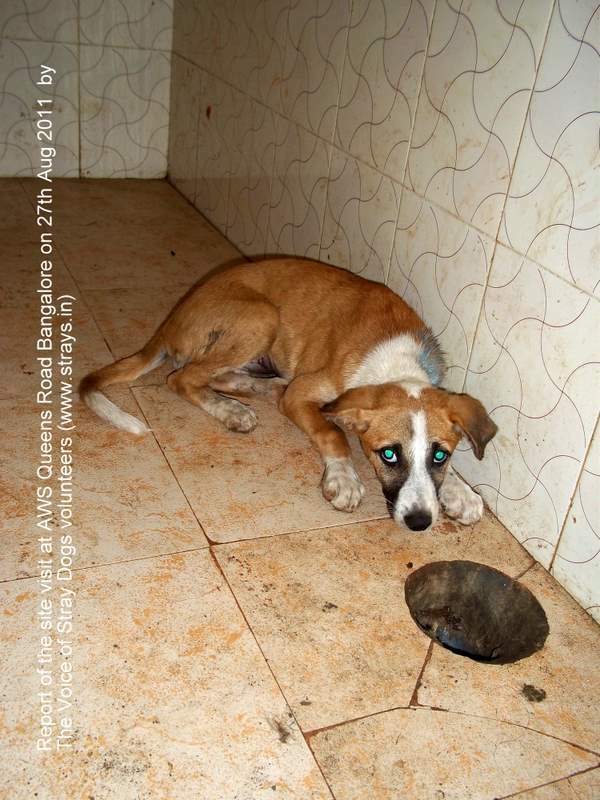 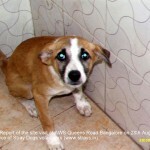 Volunteers prevailed on AWS & BBMP management and insisted on getting medical attention to this dog. 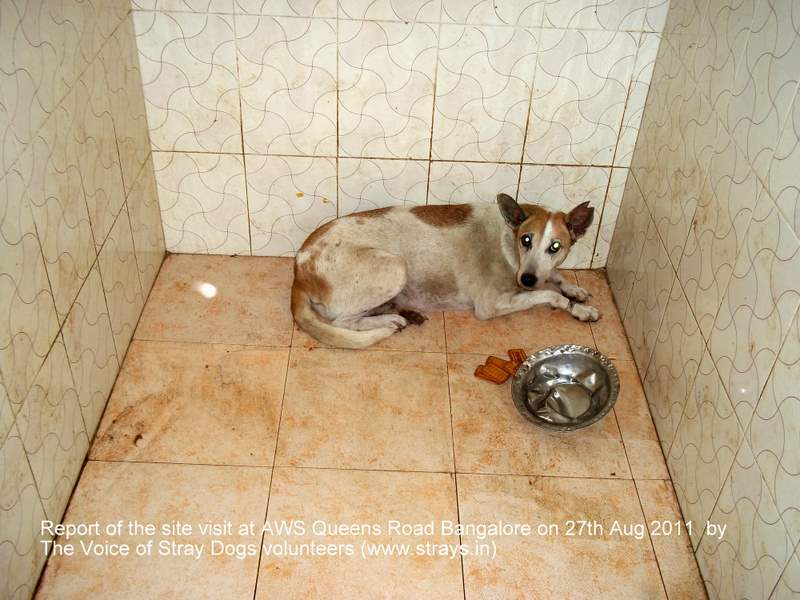 On making several phone calls the staff arrived and the volunteer team ensured the release of dogs on Sunday. 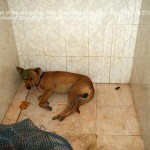 Else the dogs would be released on Monday. 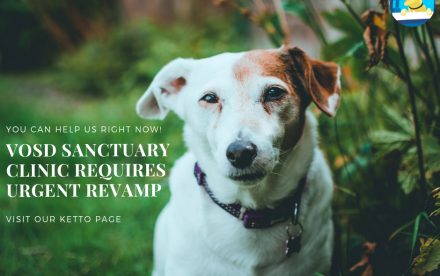 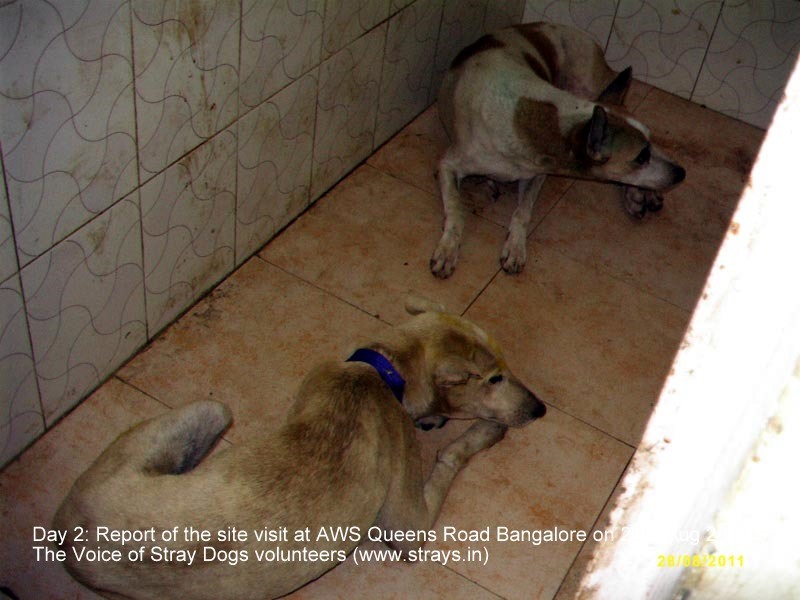 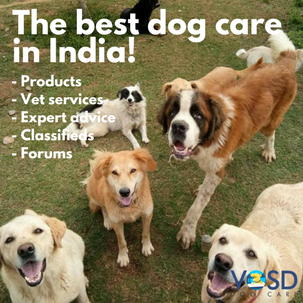 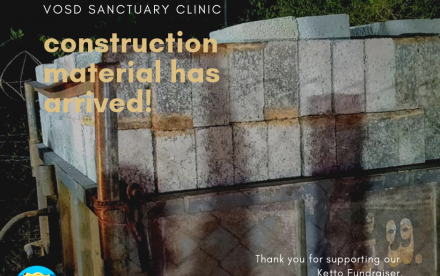 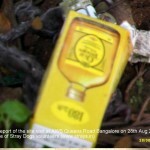 Note: Without pressurizing officials like BBMP and Mr. Srinivasulu the dogs would have not been released, nor a vet or manager would have been reachable. 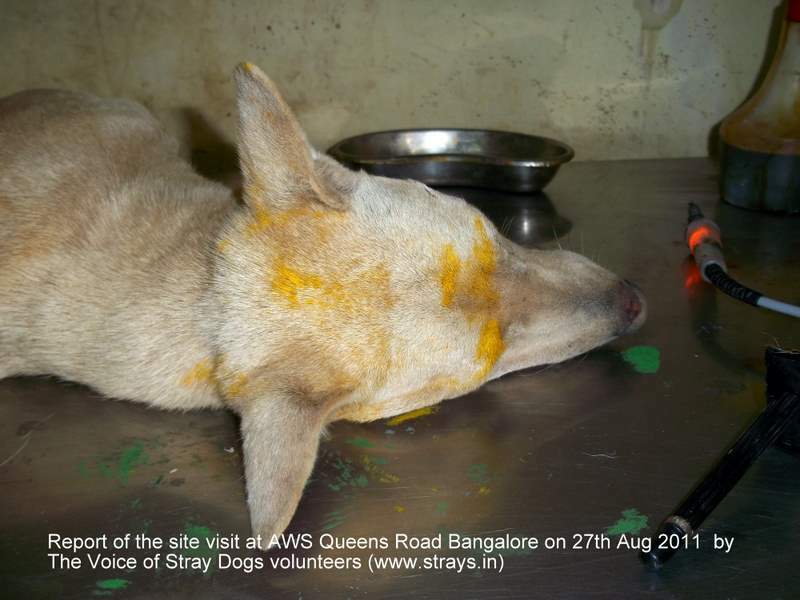 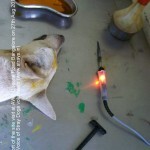 The release was done by just taking the color, which is applied by paint on the head of the dog and which was written on the release sheet. 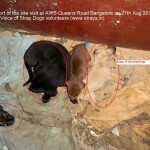 It was not possible to bring the dogs back to the same location, just to the approximate area. 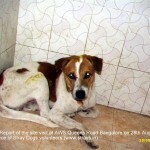 3 colors painted on the dogs were green, blue and yellow. 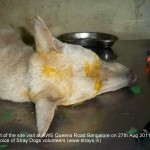 On the sheets, though, it was green, orange and yellow! 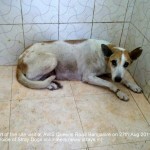 The 2 dogs from Friday, 26th & 2 complaint dogs from 27th with no records were just taken and promised to be put in a safe place. 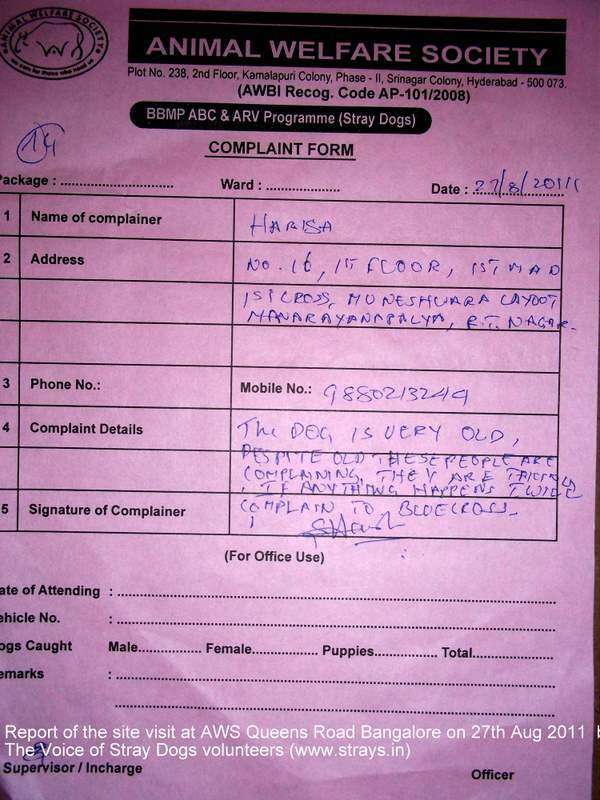 The ‘complaint pup’ was back. 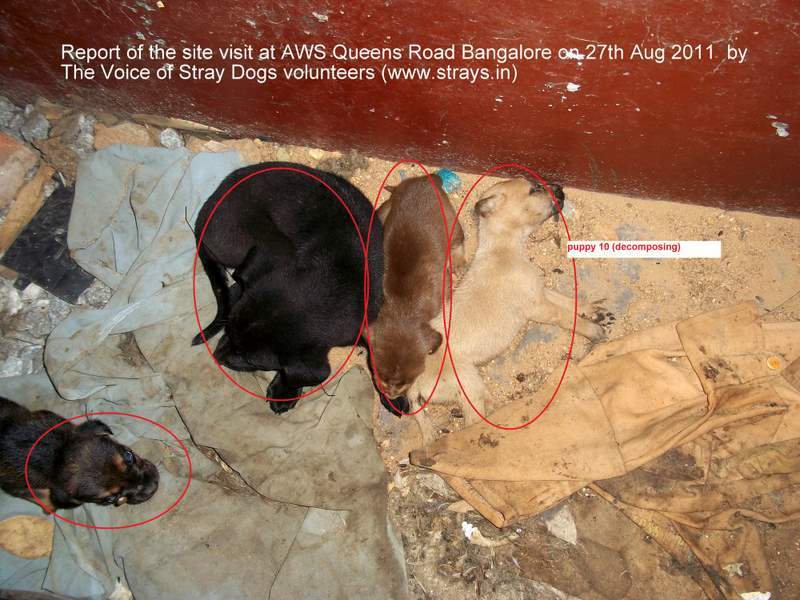 5 more dogs were found in a vehicle. 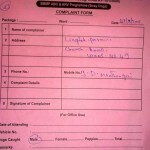 He had got them based on a complaint from 2 areas. 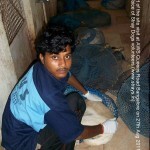 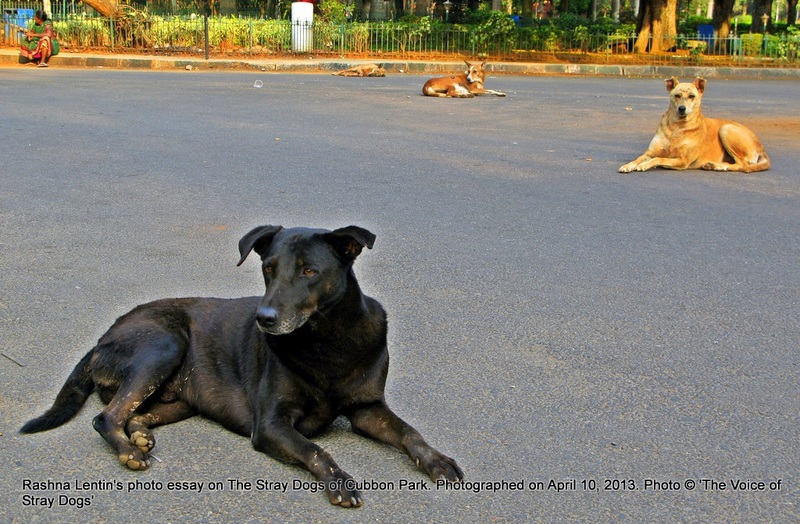 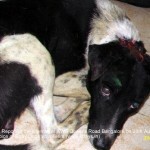 The manager and drivers could not reply on how long will the dogs be kept and what is the action taken on them. 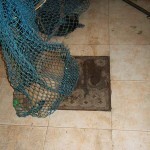 They insisted it would be 10-15 days. 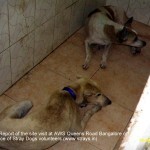 The dogs were moved into kennels. 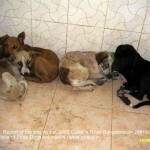 The volunteer called Dr Piran and then within minutes all the 5 dogs were sent to CUPA. 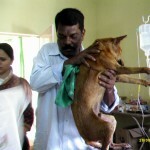 Even against our insisting the ‘complaint puppy was also sent to CUPA. 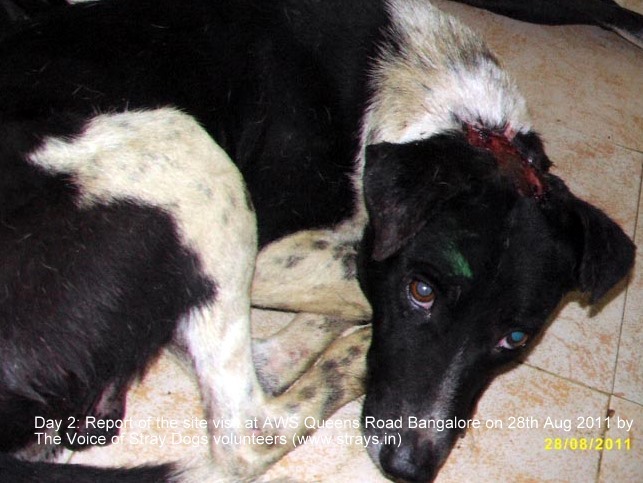 The complaint lodged was for 2 dogs only but the team of drivers caught 5 dogs as they got their hands on them. 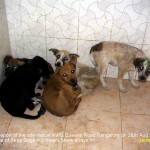 Out of the 5 dogs that were brought 3 were neutered and 2 were not ; one of them was an 4 month pup. 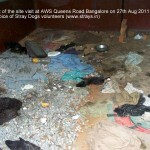 It is clear from the ineptitude of the management of the AWS facility that they are illequipped for any ABC procedure. 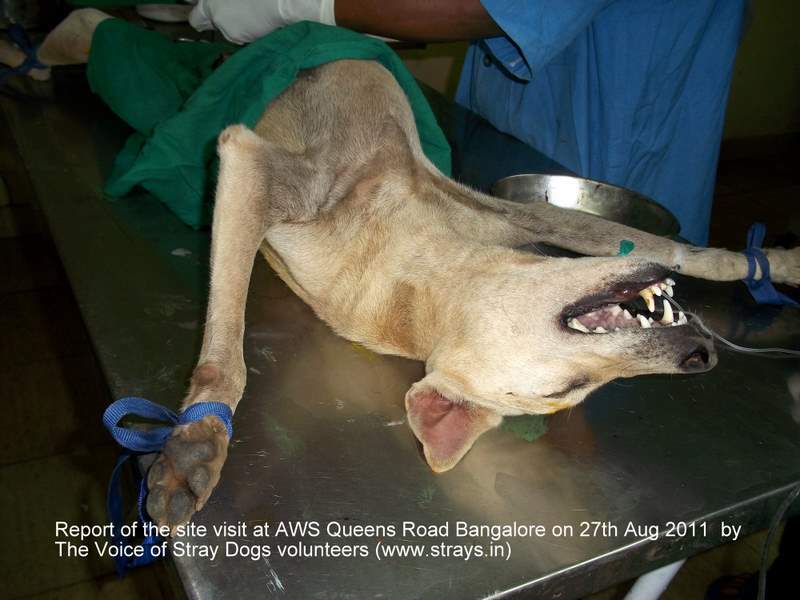 Also the failiure is not because of volume of the ABC surgery being performed but basic lack understanding the staff of their roles and expectations. 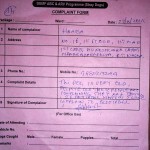 It clearly deduced that the ABC SOP is being followed only in absentia. 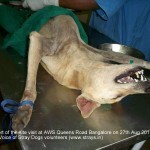 The vets said that this can sterilize! 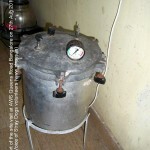 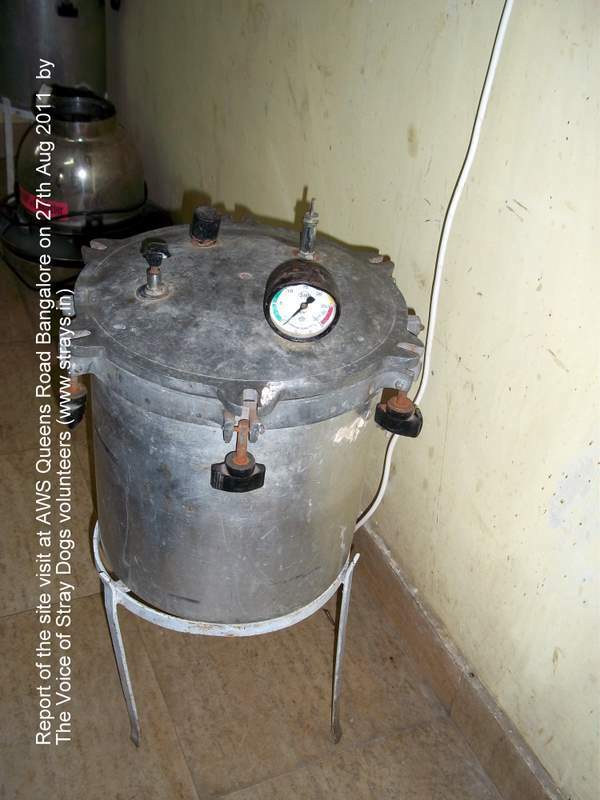 Sterilization equipment – never worked! 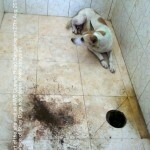 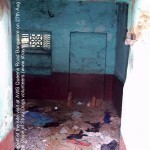 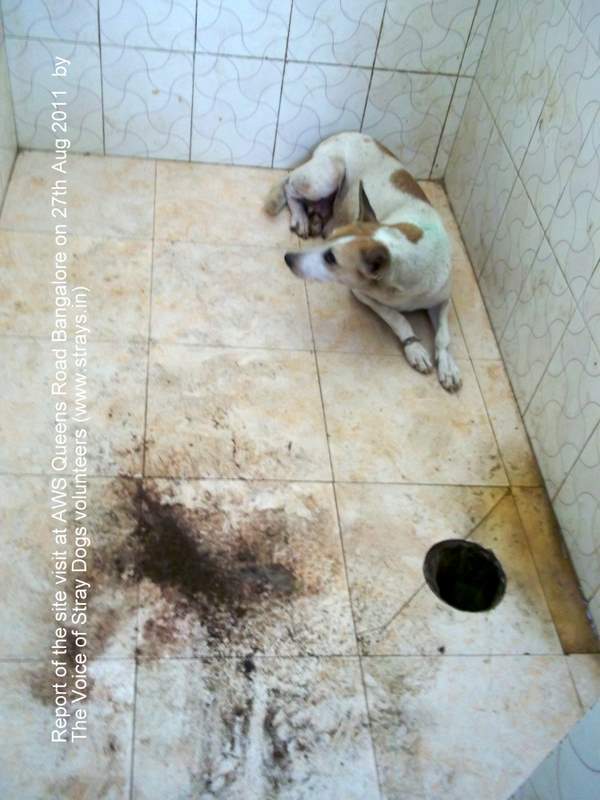 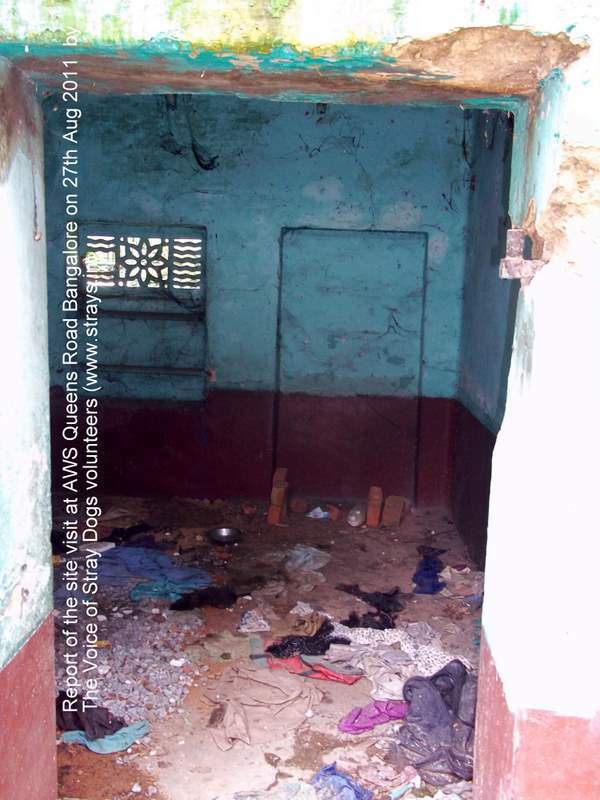 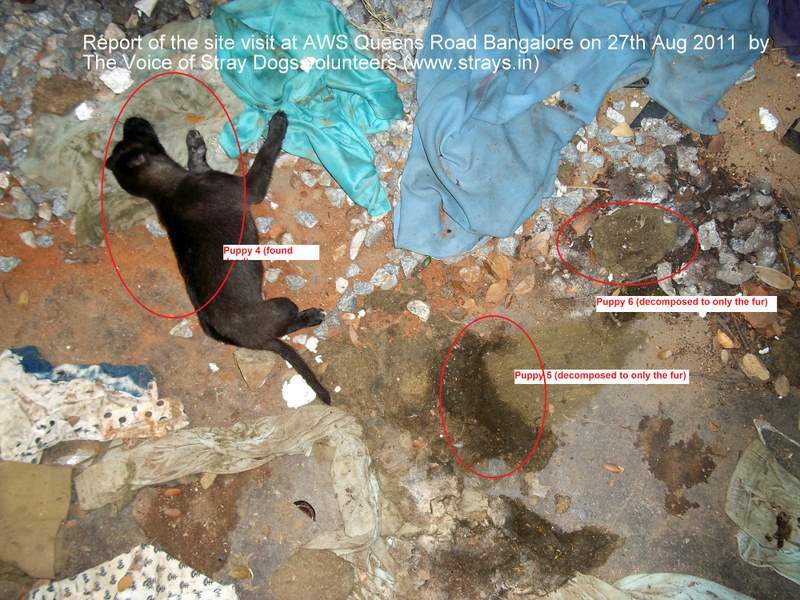 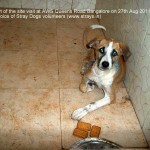 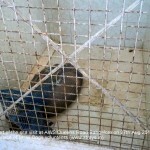 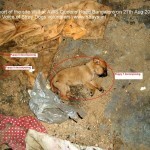 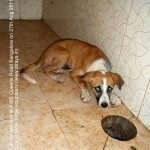 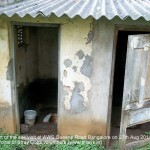 ‘Complaint’ dog from Day 1 – lying without food or water and kennel with urine and faeces : Complaint was ‘dog is old’! 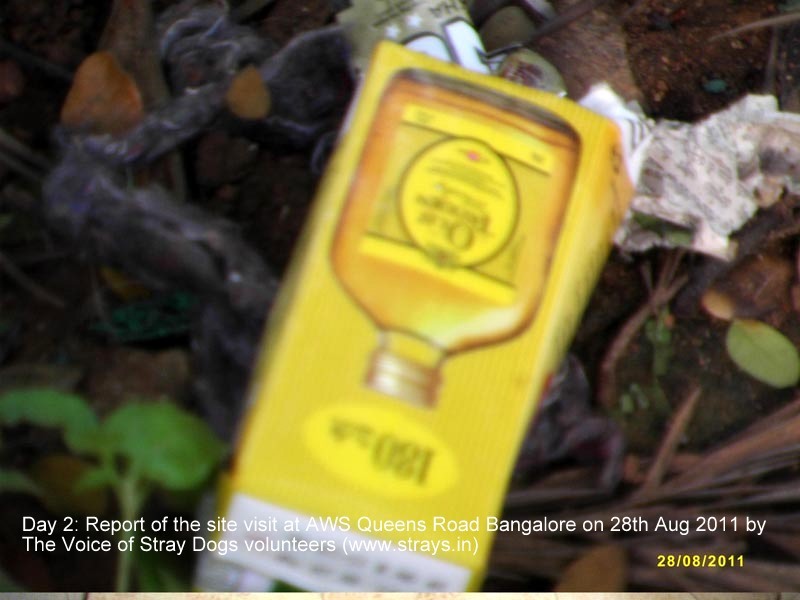 Organs left uncounted from Sat – till counting on Monday! 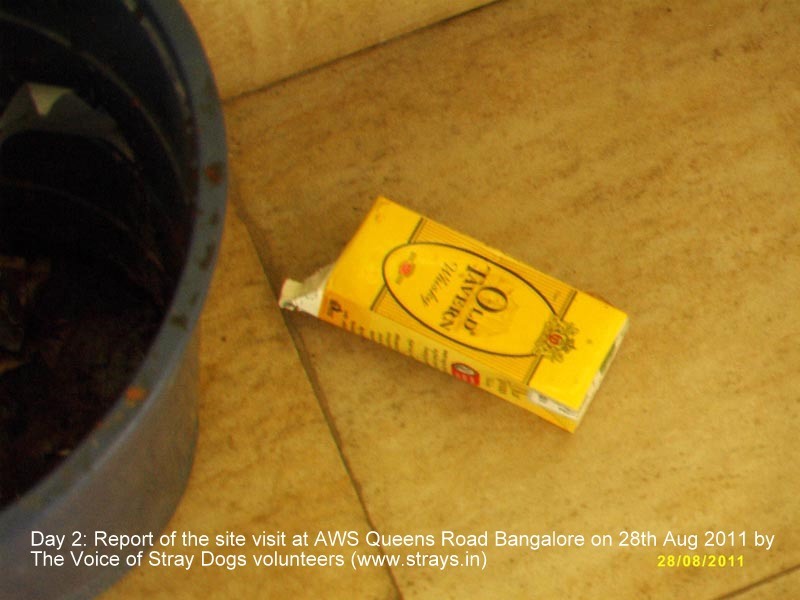 AWS Complaint form – no contact information of complainant, no contact no. 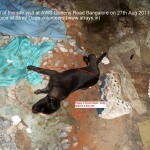 no details of where the lane. 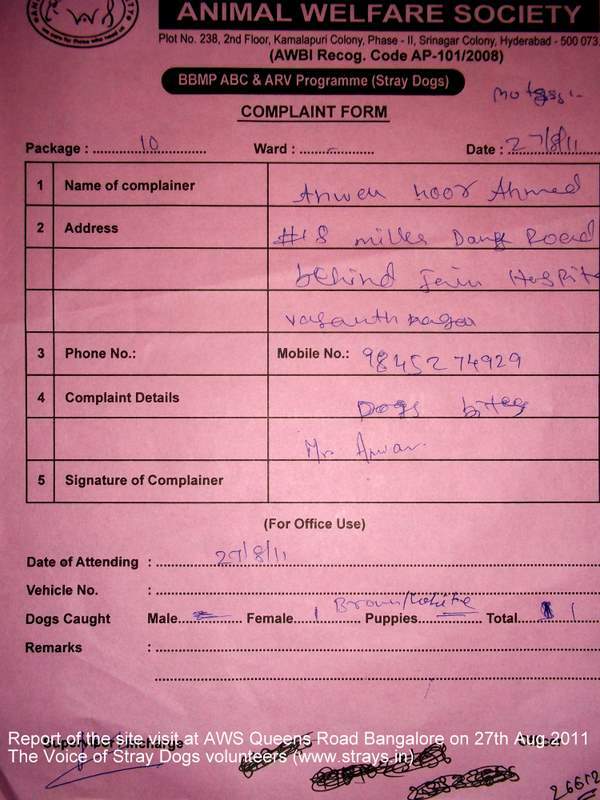 The dog on this complaint could not be traced. 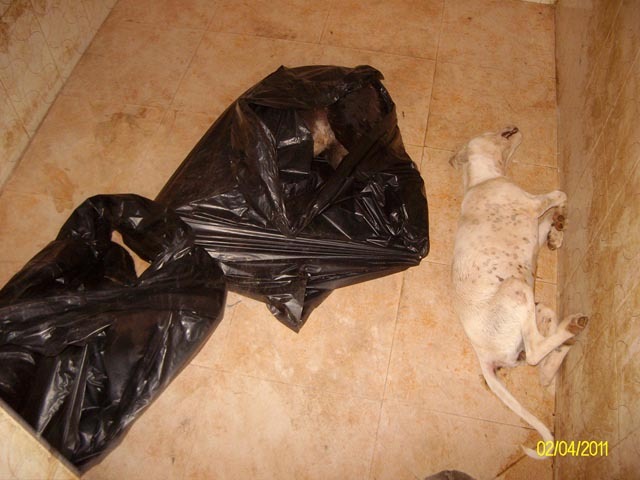 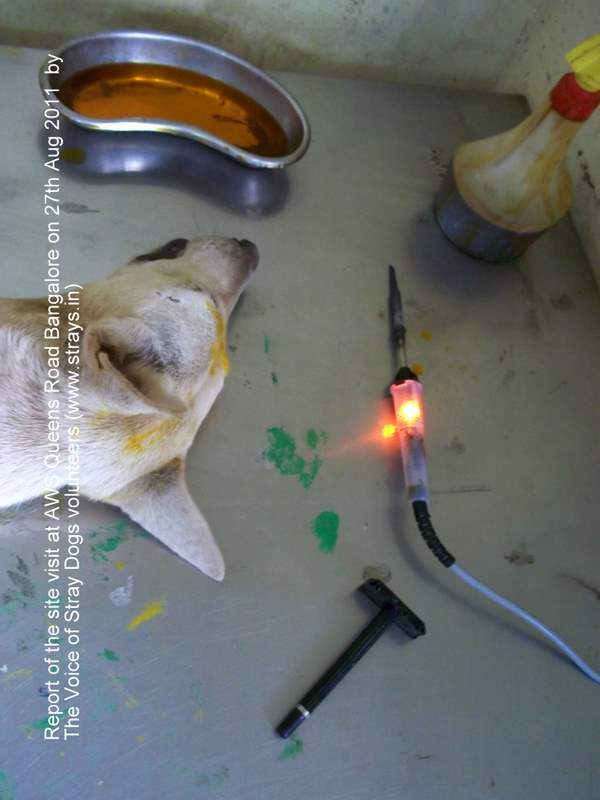 Poor tagging practices – dogs were found tagged C5 and 1 of them was randomly made C5 the other C2! 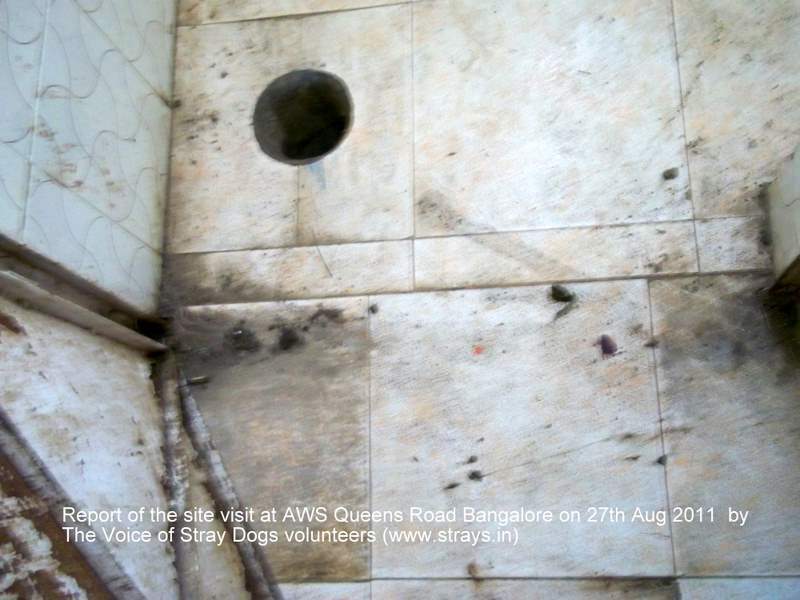 The room with the puppies is right next to this toilet!